Plastic lid – from the recycle bin. 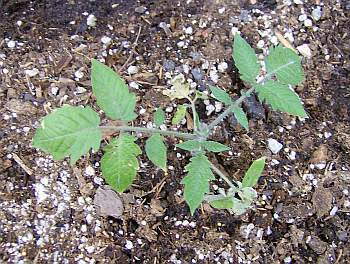 Tomato plant – I used an un-deployed Juliet tomato (grape) that I grew from seed. 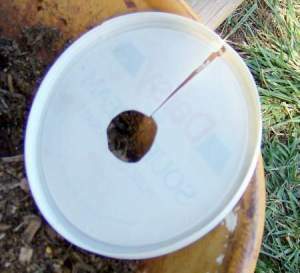 Potting soil. 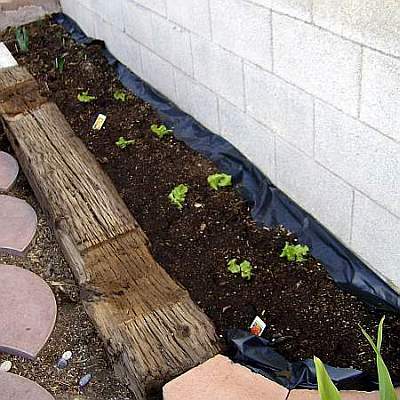 Used SuperSoil – not free, but on hand. Directions: Cut an “X” in the bottom of the bag. Cut the lid to make collar (below). 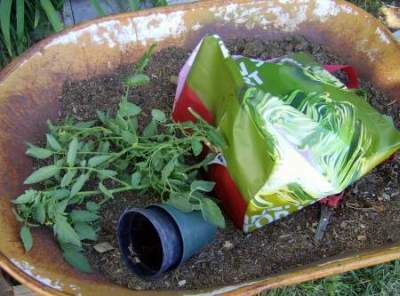 Remove tomato plant from pot. 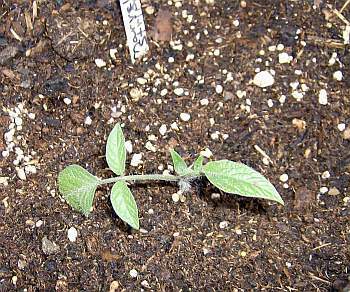 Put collar around base of plant at soil level. Carefully feed the leaves of the plant through the “X”. 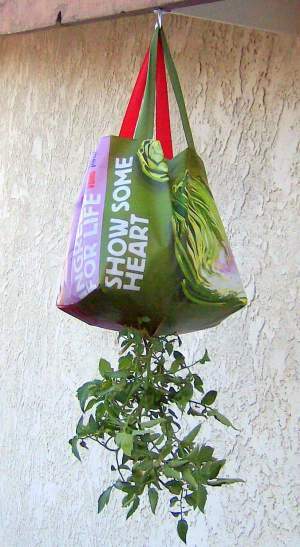 Fill bag with potting soil. Hang by handles and water. Stand back or you’ll get wet! 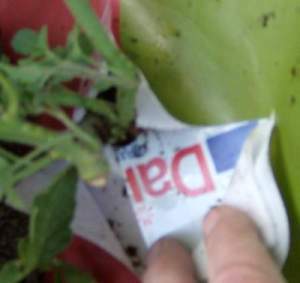 Cut an “X” in the bottom of the bag and feed the tomato plant through from the inside.